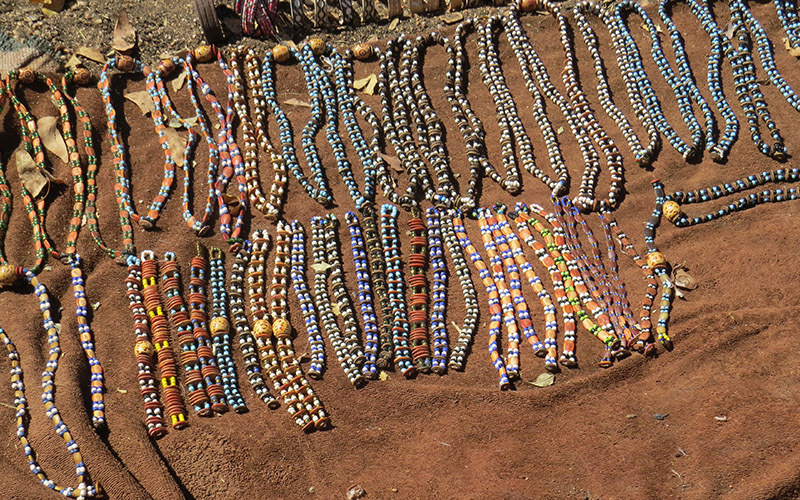 Himba Village Tour is done from Tualuka Safari Lodge as a half day excursion. The tour can be combined with an excursion to one of the Cheetah sanctuaries in the area for a full day excursion. The tour is recommend for Children and is for anyone who is interested in learning more about local cultures and their history. The Himbas are one of the few tribes in Africa that lives close to their original cultures and traditions and it’s a definite eye opener for people coming from the Western world. 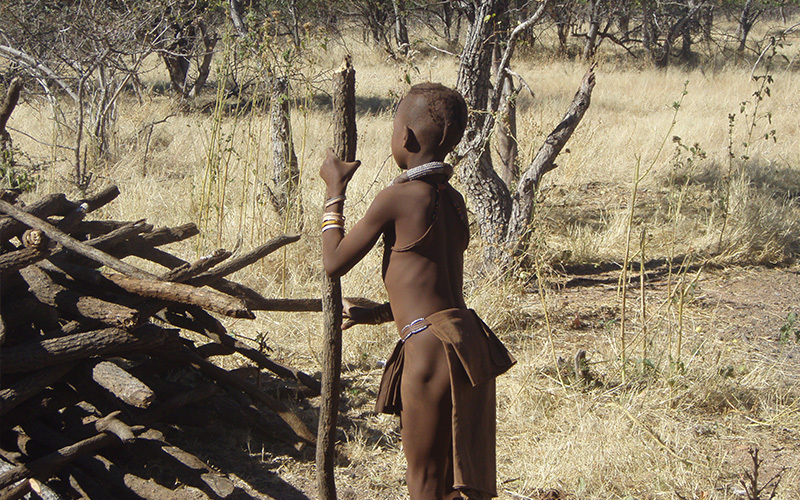 Himba Children Playing – The Himba people don’t normally send their kids to school, they believe that they lose their kids to modern society if they send them. 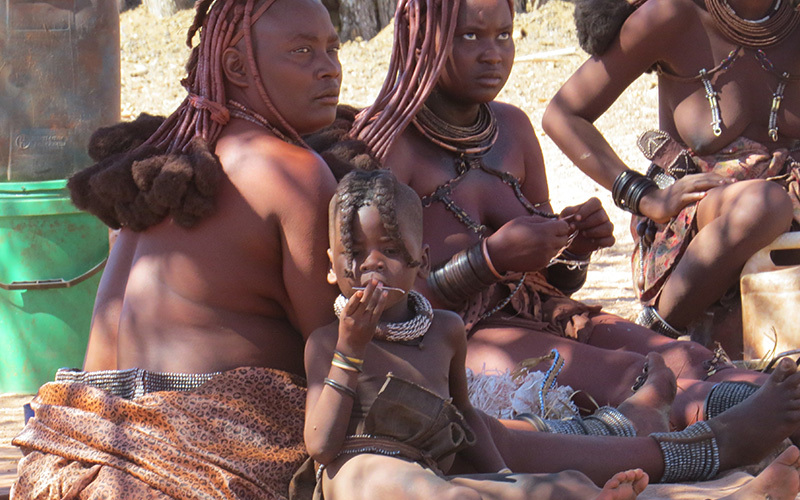 The Himba (singular: Omuhimba, plural: Ovahimba) are an ethnic group of about 20,000 to 50,000 people living in northern Namibia, in the Kunene region (formerly Kaokoland). 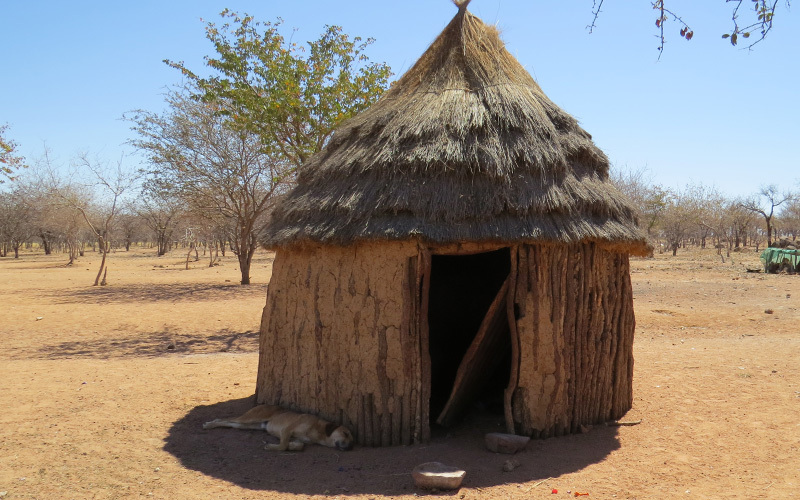 Recently they have built two villages in Kamanjab . 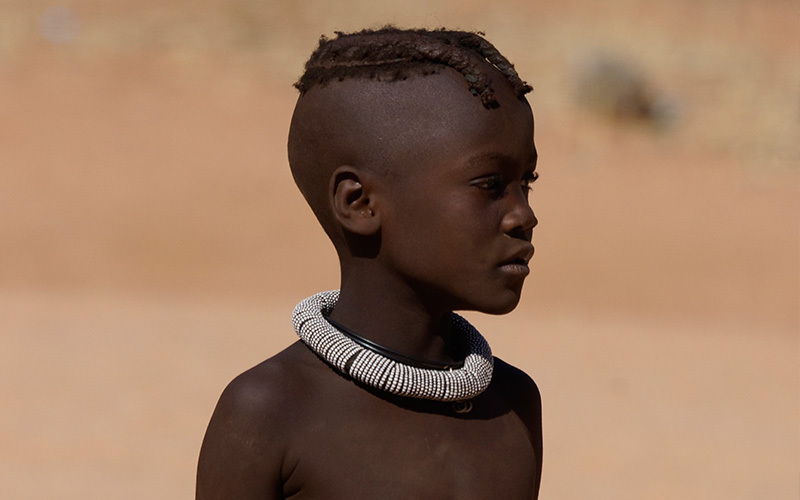 They are mostly a semi-nomadic, pastoral people, closely related to the Herero, and speak Otjihimba, a dialect of the Herero language. 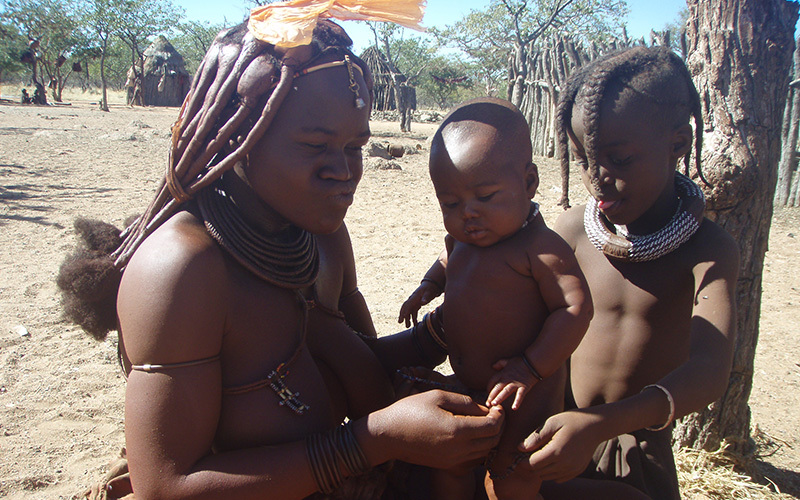 Himba women wears traditional attire and it can take her 4 hours in the morning to get herself ready for the day.